We are pleased to welcome a guest post by Andrew Lister from Beam Energy Labs, a platform helping businesses assess and procure solar and batteries. There are a couple of things you might notice about this table as you go from the top to bottom (past to present): Systems are getting bigger, more countries are getting involved, prices are getting smaller (a lot smaller) and, most importantly, we’re seeing Australian businesses entering the market in 2017 with site-level systems. To put the Australian industrial site price of 7.7 c/kWh into perspective; If you’re lucky, 7.7 c/kWh is about a quarter of what you’d pay for electricity at home, or half what you’d likely pay as a business during peak times (during the day). The UAE example is probably even less than what you’re paying for some of your mysterious ‘other charges’ on top of your electricity charges. How are they making money, you might ask? Well, there’s still plenty of money to go around, this suggests prices will continue to fall. For example, in the UAE, the installed cost of solar is expected to be under $400 per kW. And throughout the year, that 1 kW of solar will produce around 1,600 kWh. So, at 2.4c over 20 years you get $768. That’s a guaranteed return of over 3% – far less than the cost of capital for a lot of these companies. The reverse auction – like a normal auction but backwards – the lowest price wins! Think of the last time you purchased something from eBay – but in this instance, the process is reversed. So, instead of competing with other buyers to pay the highest price for the seller’s item, the sellers compete amongst themselves for the lowest price to supply you with that item. That’s a reverse auction in a nutshell. How this works for rooftop solar is: If you’re a business and you want rooftop solar PV and/or batteries, whether this is through a PPA or you will put up the cash, you ask vendors to give you their lowest price. However, you can do it in an environment where all the vendors can see who has the lowest price and you give each vendor an opportunity to beat it. It can be time-consuming, particularly if it’s over two rounds. As a business owner/manager this means you’ll either limit the number of vendors to reduce effort or you’ll be out of pocket to pay someone to run it for you. This time and effort impacts you indirectly, too. 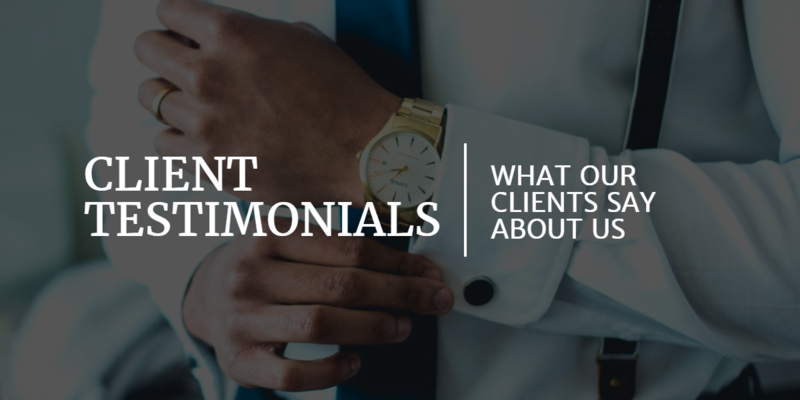 Having been on the vendor side for a good portion of my working career I know that vendors will increase offered prices for tenders to account for the time that has gone into preparing compliant proposals. It’s still a subjective process. If Bob’s solar comes in the cheapest but ABC Solar have the best solution, who do you choose? Most of the examples I provided in the table above were procured through a reverse auction process and it is well recognised as the best way to buy renewable energy for utility-scale customers. 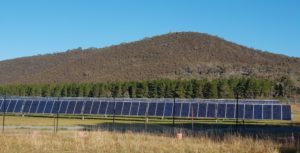 It’s also the best way for Australian businesses to buy solar PV and batteries, however, until recently, the platform has not been there to do it. You can choose who you invite, vendors can be weighted and there’s no limit to how many participate in the auction. Vendors can provide the same information, typically a lot more information, with far less effort compared to an RFP. An objective process. You decide what is important to you in choosing a winning bid at the start: Vendor experience, product brand, warranty period…. Every aspect of the bid can be scored and weighted within the platform including, of course, price. Going back to our example before, if you have given price a 100% weighting then Bob’s Solar will win. If you’ve given price a 70% weighting (recommended) then ABC Solar will win (sorry, Bob). 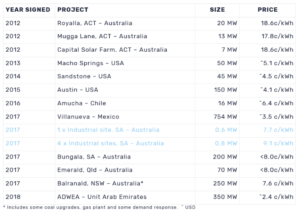 Solar and batteries are just getting started for businesses in Australia and there is a lot more to PPAs and Reverse Auctions. We could talk about it all day. We appreciate that you’ve come this far so we won’t hold you up any longer. This blog post is an excerpt from Beam Energy Labs. The original content can be found here.